How does the trip of a lifetime change you? 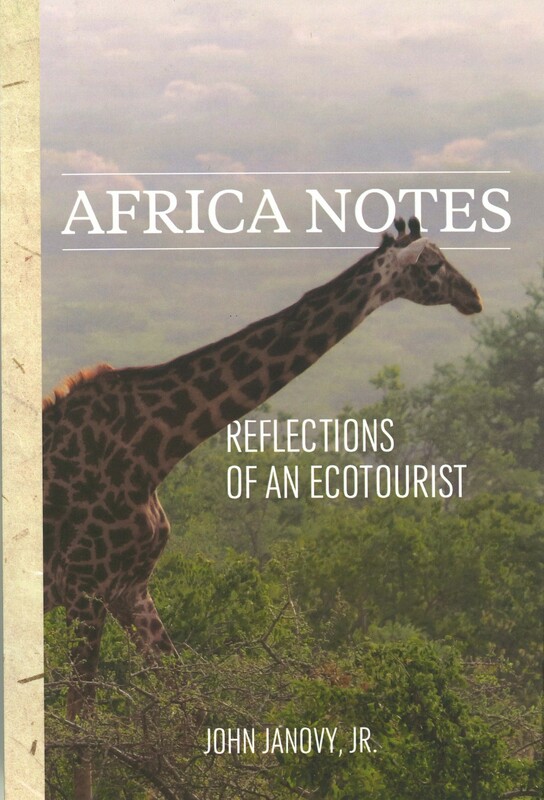 John Janovy, Jr. explores this question in Africa Notes, his observations on and meditations about an ecotourism trip to Botswana and Tanzania with his wife, Karen. 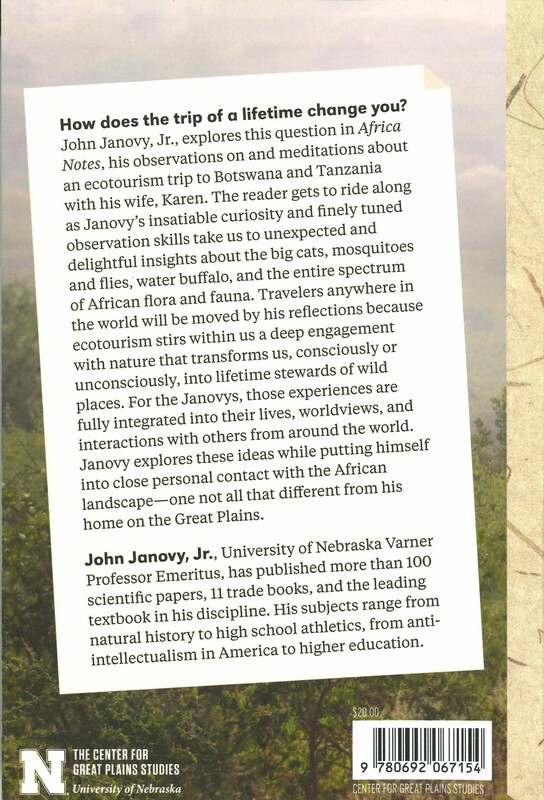 The reader gets to ride along as Janovy's insatiable curiosity and finely tuned observation skills take us to unexpected and delightful insights about the big cats, mosquitoes and flies, water buffalo, and the entire spectrum of African flora and fauna.